If you’re looking for pure Colorado wilderness, put this sweet spot on northern Colorado's Front Range near Fort Collins on your hit list. 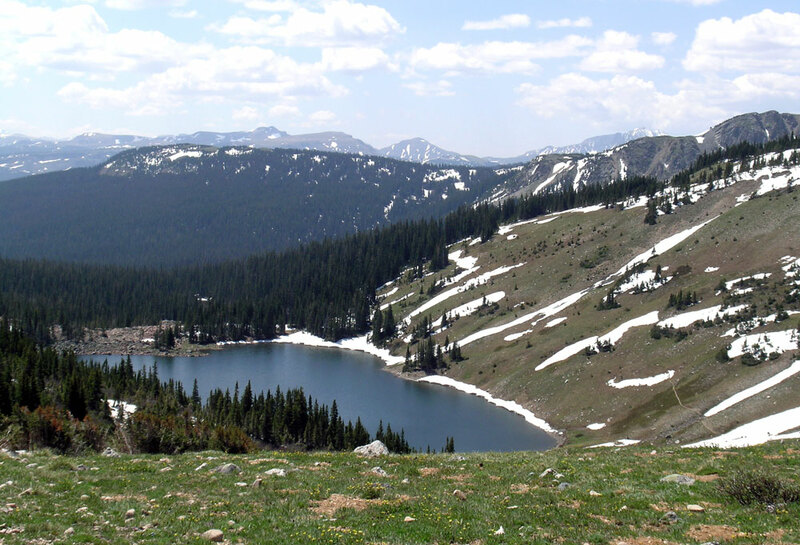 Located between Roosevelt and Routt national forests near the rural towns of Gould and Walden, the Rawah Wilderness Area unfolds into 76 miles of trails webbing through dense forests speckled with transparent subalpine lakes. Glaciers carved the granite peaks of Rawah — translated simply as “wilderness” by native Ute tribes — leaving behind 26 pristine lakes ranging from five to 39 acres. Snowmelt traverses the steep valleys and feeds the lakes that house healthy rainbow, cutthroat and brook trout populations, while hunters frequent the lower elevations for deer and elk. Numerous winged species, including the red-tailed hawk and golden eagle, also call the area home. The Cache la Poudre-North Park Scenic Byway to the Blue Lake Trailhead is a journey in itself as you wind past craggy canyon walls alongside the Cache la Poudre River. The popular trailhead sits at 9,495 feet, just past Chambers Lake at the mouth of the Poudre Canyon. Hike the picturesque path as it crisscrosses streams and meanders through meadows and wildflower-painted tundra. Tall spruce and fir trees keep the trail mostly shaded, making this a comfortable warm-weather hike. A series of moderate climbs raises heart rates before the trail mellows out on the approach to Blue Lake. Bring a Colorado fishing license and pole — the secluded lake’s accessible shoreline makes for great casting conditions. Keep climbing to Blue Lake Pass at 11,010 feet and to surrounding 12,000-foot ridges where you’ll be rewarded with liberal views of Rocky Mountain National Park to the south. Getting there: Take Hwy. 287 north from Fort Collins to Laporte. Continue on Hwy. 287 to Hwy. 14. Travel west on Hwy. 14 for 52 miles to the Blue Lake Trailhead parking area. Photo courtesy of Alan Delahay.